Need help? Talk to one of our agents. Esta sección del sitio web está solo disponible en inglés. Disculpen las molestias. For a better experience on eHealth.com, please upgrade your browser as soon as possible. Individual and family health insurance plans can help cover expenses in the case of serious medical emergencies, and help you and your family stay on top of preventative health-care services. Having health insurance coverage can save you money on doctor's visits, prescriptions drugs, preventative care and other health-care services. Typical health insurance plans for individuals include costs such as a monthly premium, annual deductible, copayments, and coinsurance. The cost of your health insurance plan could be affected by age and tobacco use, but you will not be declined for an individual health insurance plan due to pre-existing conditions. Do you qualify for Medicare? You might have Medicare plan options beyond the federal program, Original Medicare (Part A and Part B). Find out about Medicare Advantage plans, Medicare Prescription Drug Plans, and Medicare Supplement plans. If you decide to stay with Original Medicare, you might be able to sign up for a Medicare Supplement (Medigap) plan to help pay for Original Medicare's out-of-pocket costs. Different Medigap plans pay for different amounts of those costs, such as copayments, coinsurance, and deductibles. All plans cover Medicare Part A hospital coinsurance costs at 100%. Beyond this one benefit, the plans vary on what they cover with some plans being more comprehensive than others. Medicare Supplement plans sold today don't cover prescription drugs, and you can't use them with Medicare Advantage plans. Providing health insurance as a small business is a great way to hire and retain excellent employees. The Affordable Care Act currently requires small businesses to offer health insurance, if they have 50 or more full-time workers. If certain small businesses fail to provide health insurance to employees, they may be subject to fines. 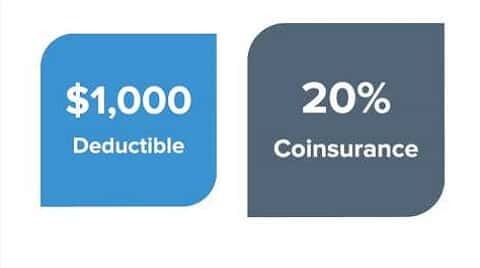 With group health insurance plans, premium costs are typically shared between employer and employees who chose to be covered under the health insurance plan. Tax incentives meant for small businesses may be available to you if you offer group health insurance to your employees. Short-term plans are a great way to cover yourself with temporary health insurance. If you have a gap in health insurance coverage, short-term plans offer limited coverage at affordable prices. This type of health insurance is also easy to enroll in, and coverage can start in just a few days. This flexible health insurance option can offer you coverage for any period between 30 days and 12 months, depending on the short-term health insurance plan, and the where you live. Short-term health insurance plans do not satisfy the requirements of the ACA, and they do take pre-existing conditions into account for new applicants. The type of services covered with this health insurance are usually limited to major medical emergencies, such as serious illness or injury. Preventative care is usually not included in short-term health insurance plans. Products to add to your health insurance plan, or purchase in place of major medical health insurance. Our Customers Have a Lot to Say. We've helped over 5 million find health insurance—each customer gets the same quality service. Committed to Finding Our Customers the Right Health Insurance. Our online tools, free quotes, and licensed agents are here to help you find a plan. Need help or have questions about coverage or billing? eHealth will deal with the health insurance companies for you, even after you've bought your plan. The health insurance plans eHealth offers are priced the same everywhere else—we just make them easier for you to find. With over 10,000 plans from over 180 companies, you can't find a bigger selection of health insurance products online in the U.S.
Health insurance questions? We have your back 24/7 between our online chat function, email, and telephone support from our licensed health insurance agents. Our online tools help you decide what product is best for you—we're here to help no matter what health insurance plan you choose. We're committed to making shopping and applying for health insurance as simple as can be for our customers. Our features make getting health insurance simple, fast, and convenient. Copyright © 2019 eHealthinsurance Services, Inc.